(Bloomberg) – South Africa’s Hawks special investigative unit detained seven people on Wednesday in the first major arrests following revelations that a services company, Bosasa, looted billions of rand from the state by bribing officials. The arrests follow an investigation that found almost R1.6bn ($119m) may have been misappropriated when the Department of Correctional Services awarded prison tenders to Bosasa or its units, the Directorate for Priority Crime Investigation said in an emailed statement Wednesday. The officials allegedly received and accepted cash and financial assistance to buy properties and cars to influence the process, it said. 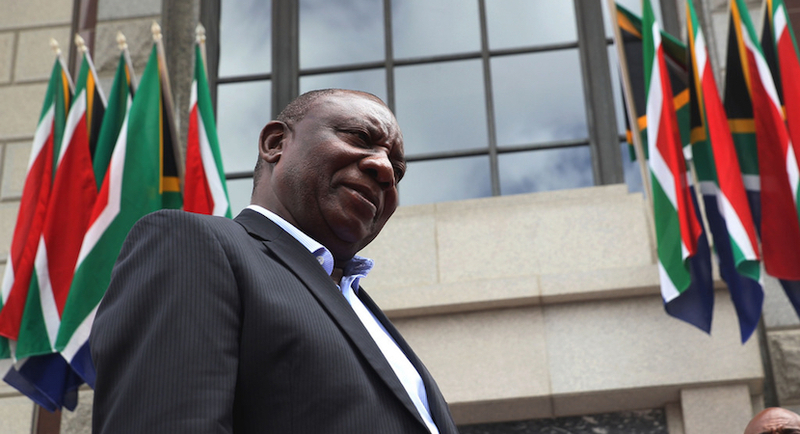 The crackdown comes a day before President Cyril Ramaphosa is due to deliver his annual state-of-the-nation speech, and will add weight to his promise that he’s committed to clamping down on graft. 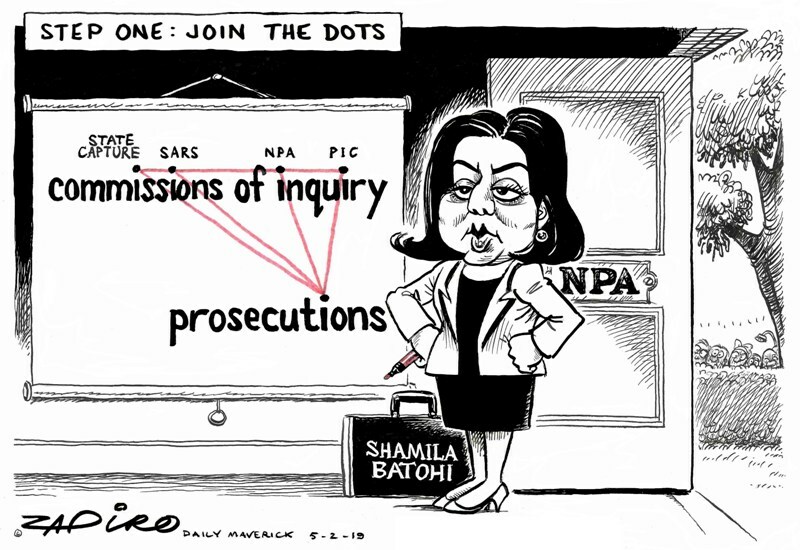 It’s also the first high-profile case to be filed since Shamila Batohi took over as head of the National Prosecuting Authority, which has been dogged by regular management changes and claims that it allowed politics to influence its decisions to prosecute during the rule of former President Jacob Zuma. Step One. More of Zapiro’s magic available at www.zapiro.com. Five of the suspects appeared in court in Pretoria, including Angelo Agrizzi, Bosasa’s former chief operating officer, and Patrick Gillingham, a former correctional services department chief financial officer, Hawks spokesman Hangwani Mulaudzi told reporters. They were released on bail and the case was postponed until March 27. Agrizzi last month testified before a judicial inquiry into corruption, headed by Deputy Chief Justice Raymond Zondo, that Bosasa paid millions of rand in bribes to politicians and government officials, including Zuma, to secure contracts. Agrizzi acknowledged that he was implicating himself in wrongdoing. A business confidence indicator released earlier on Wednesday showed companies are frustrated by slow action against people linked to alleged graft. While the index jumped to a two-year high early last year after Ramaphosa took over from Zuma as leader of the ruling party and the country, a failure to take decisive action in dealing with corruption and maladministration are weighing on business sentiment, the country’s Chamber of Commerce and Industry said in an emailed statement.